Going through my photos from the beginning again, I have found a few more that I haven't published, though some are of poorer quality. A blurry shot of a Mack Cruise-Liner passing through Orewa. 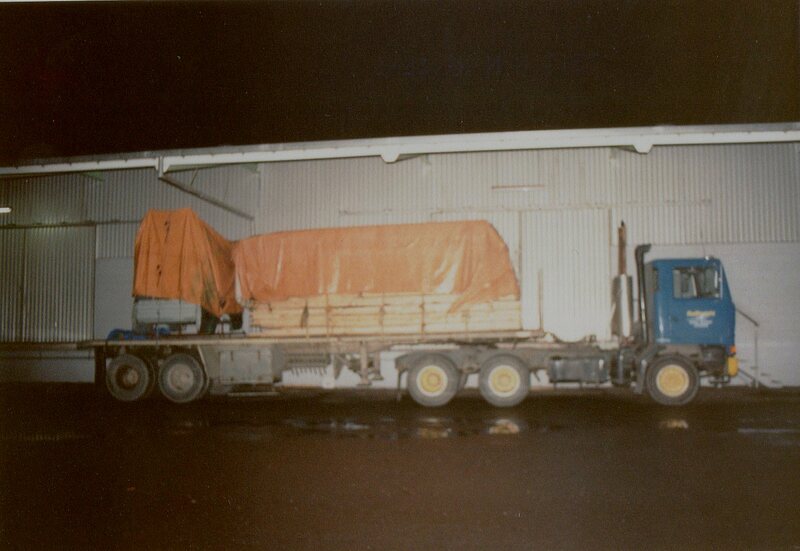 Night shot of NZR's Bedford TM with tarped load ready to set off in the dawn. 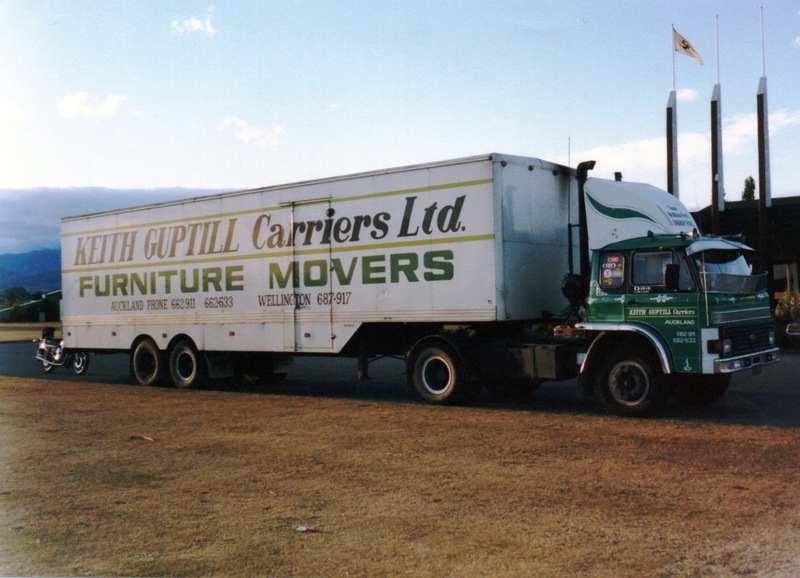 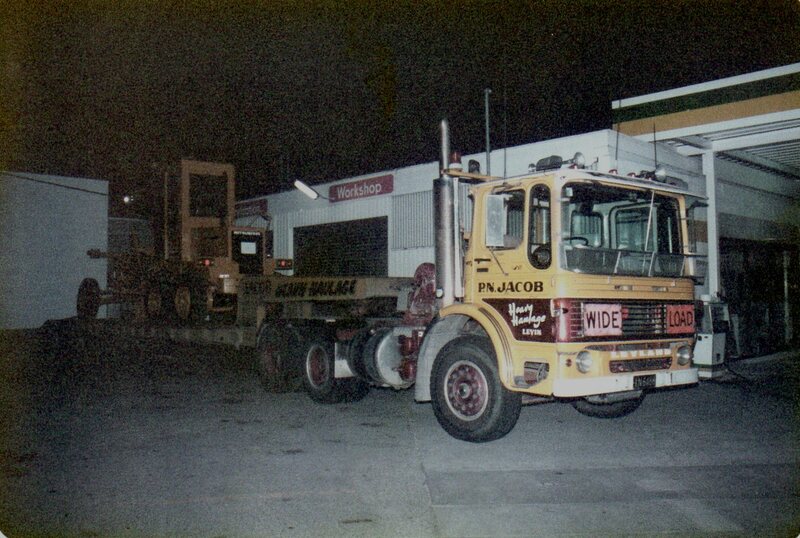 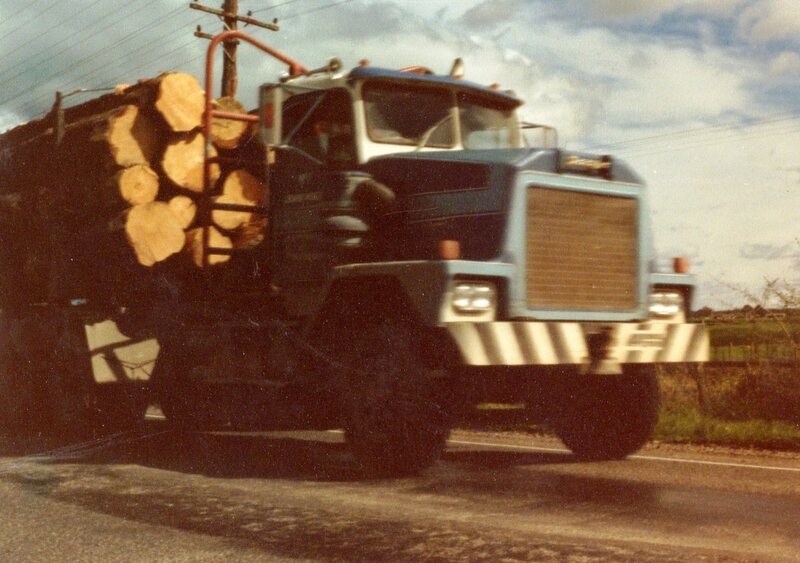 Jacob's of Levin had this Leyland heavy haul tractor. At Fagan Ford in Masterton is a brand new D series Ford, awaiting delivery to Martinborough Freighters. 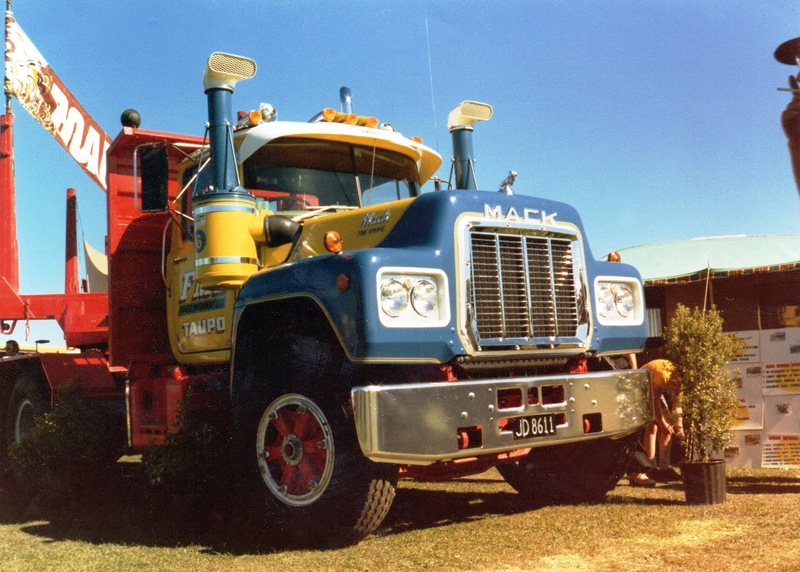 R series Mack with twin air cleaners. 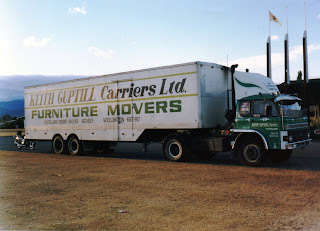 Keith Guptill's D series Ford had an extended cab. 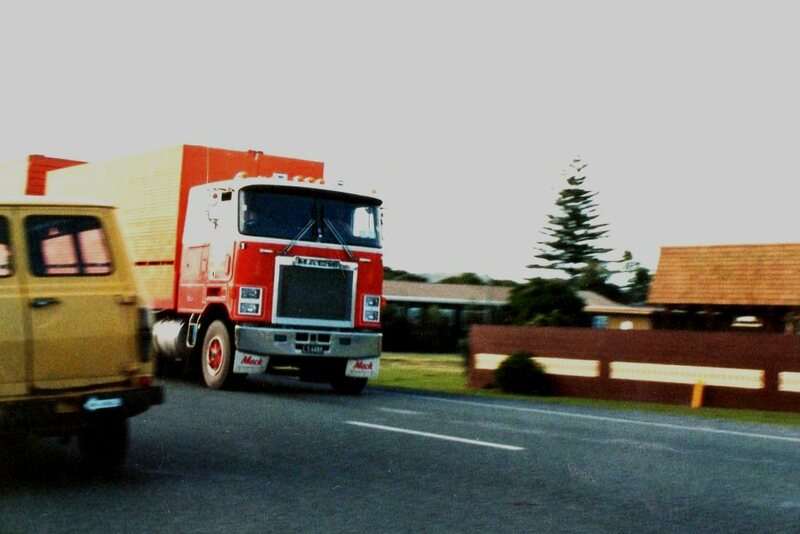 Taken at Masterton's Solway Park Motor Inn (now Copthorne). 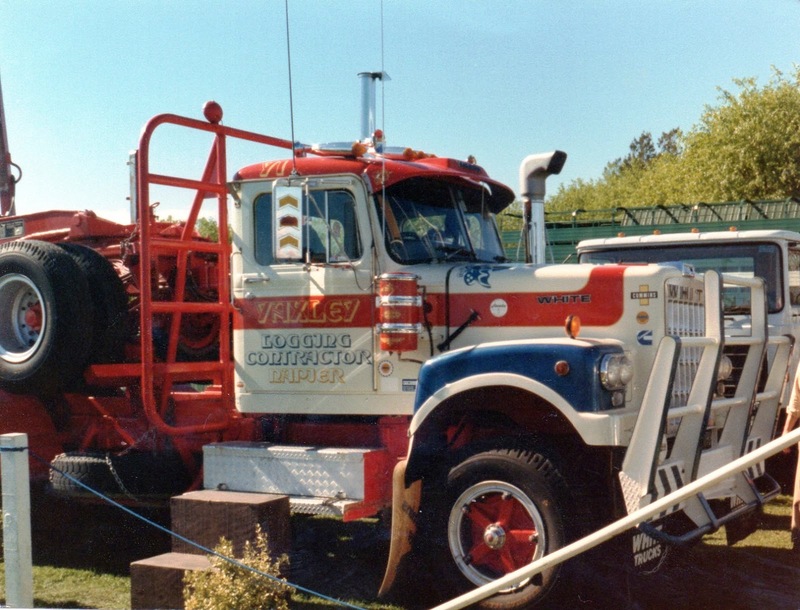 Yaxley of Napier displayed this early model White Road Boss at a truck show. 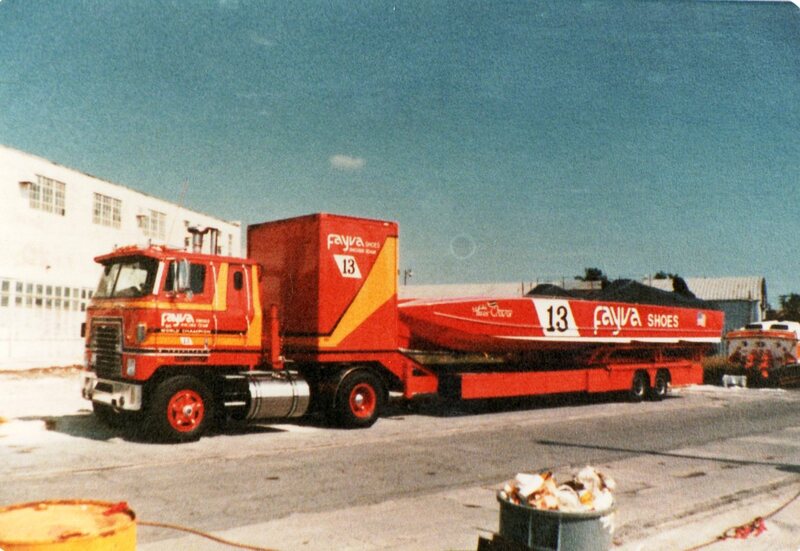 When I ran the parts department at Vic's Subaru in Masterton, I worked with the late Doug Wishart. 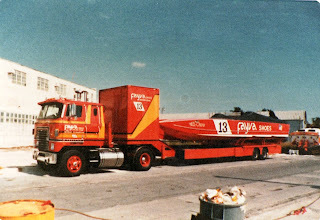 Doug at one stage crewed for the Sutherland brothers with their racing powerboat. 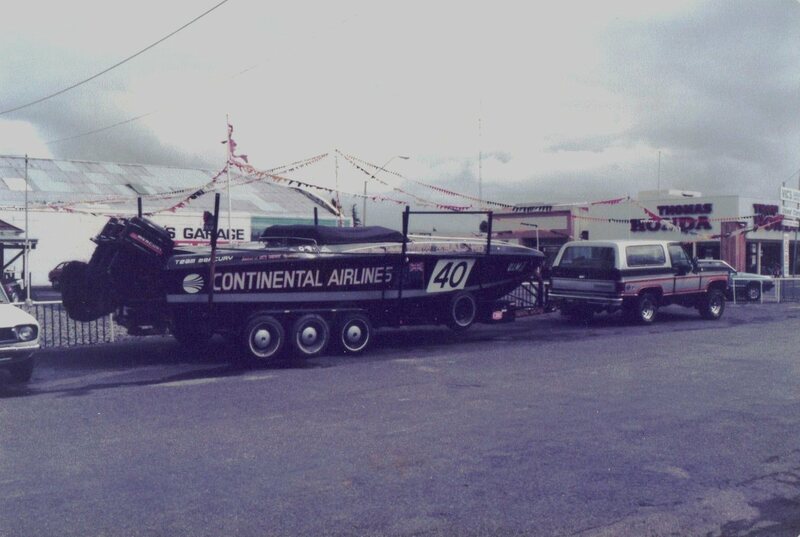 Seen here with its Chevy Blazer to move it around. 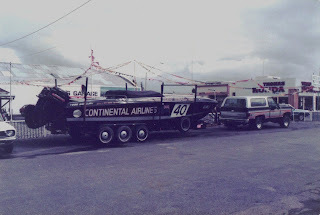 Doug travelled to the US with the boat crew and brought me this photo of the sort of rig they used over there to tow their boats around. 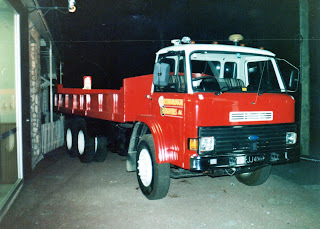 An International Transtar II.